Watson Realty Corp. Founded on December 16, 1965 by William A.
Regency Centers Corporation is a real estate investment trust (REIT) based in Jacksonville, Florida and is one of the largest operators of grocery-anchored shopping centers. American Land Lease, Inc. is a real estate investment trust (REIT) that owns and manages high quality residential land-lease communities. Properties include homesites and RV parks, located in ten states that are owned directly or by affiliated entities. It owns about 35 REIT's communities that often feature swimming pools, golf courses, and clubhouses. American Land Lease, Inc. was founded in 1986 and is based in Clearwater, Florida. Brandy Bail Bonds, located in Fort Lauderdale, provides professional bail bond services to Broward County and all of the U.S. since 1974. Call 954-463-4333 today! 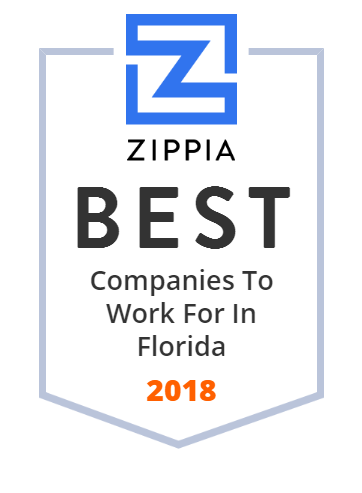 Headquartered in Naples, Florida, The Ronto Group has been building a solid reputation for imaginative vision, steadfast integrity and reliable performance. is your most comprehensive source for real estate homes for sale in , . Central Florida's premiere custom home builder and country club community based in Lady Lake, Fl. Providing title insurance in Lincoln, Lancaster and surrounding areas in Nebraska. Rapid Home Solutions is a Florida-based Negative Carbon Footprint Construction Technology company Building Category-5 hurricane proof homes in just 24 hours. Century Village Real Estate, Inc. is an on-site real estate firm that owns 4 South Florida Century Village(r) communities. The company offers sales and marketing services as well as annual and seasonal rentals. Its 4 communities are located in Boca Raton, Deerfield Beach, Pembroke Pines and West Palm Beach (WPB), Florida. The CPR Team is your team for Tampa Bay Commercial Real Estate. We represent buyers, sellers, landlords and tenants throughout West Central Florida. RoseBay International Realty, Inc. is one of the most trusted and respected full-service real estate companies serving Sarasota and Manatee county areas. Advantage Title Services, Inc. has over 29 years of real estate experience in providing professional title insurance and closing services to our customers throughout Florida. To create success. The more sales you make, the more commission you keep, the more our business grows. That is why our whole focus is helping you surpass your goals. Landcom Hospitality Management, Inc. offers real estate operating, development, and management services. The company was incorporated in 1989 and is based in Jacksonville, Florida. Landcom Hospitality Management, Inc. operates as a subsidiary of Landcom Inc. Peak Holdings LLC is based in New York, New York.